What Are Your Plans for IEEE Day 2018? To mark IEEE’s origins and celebrate its worldwide membership, IEEE Day is held on the first Tuesday every October. It was in this month, back in 1884, that the newly formed American Institute of Electrical Engineers (AIEE) came together in Philadelphia, USA, for its first technical meeting. Almost 80 years later, AIEE merged with the Institute of Radio Engineers, adopting the name IEEE. This year’s IEEE Day is on 2 October. Its recurrent theme, however, is resolutely forward-looking: ‘Leveraging Technology for a Better Tomorrow’. 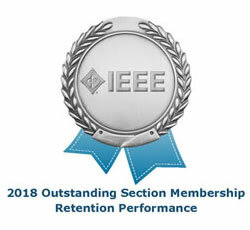 Or in other words, while the world benefits from what’s new, IEEE focuses on what’s next. Events taking place around the world range from technical symposia to public engagement with local communities, and from interactive demos to general family fun. In previous years, weather permitting, even street parties and barbecues have been involved. Most IEEE Day events are organised at local grassroots level by volunteers from Student Branches and Young Professionals Affinity Groups, so if you want to be part of it, contact your local IEEE representatives. It’s only a few weeks away, so don’t leave it too late.